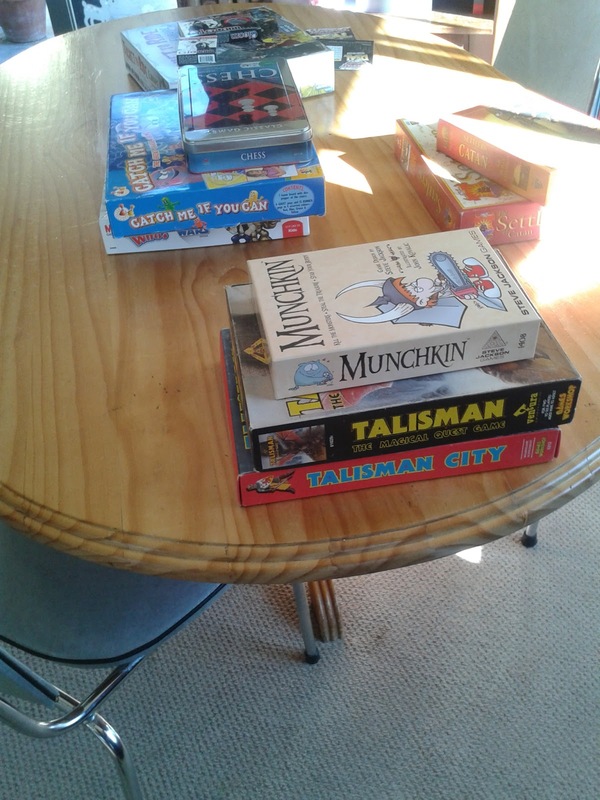 My mate Steve popped around today so in the spirit of ITTD we had a two-player game of Munchkin, because he'd missed the date change for yesterday. It seemed like the decent thing to do to play at least one game on the day anyway. And, I WON!!!!!! The last couple of days have been a lot of fun. 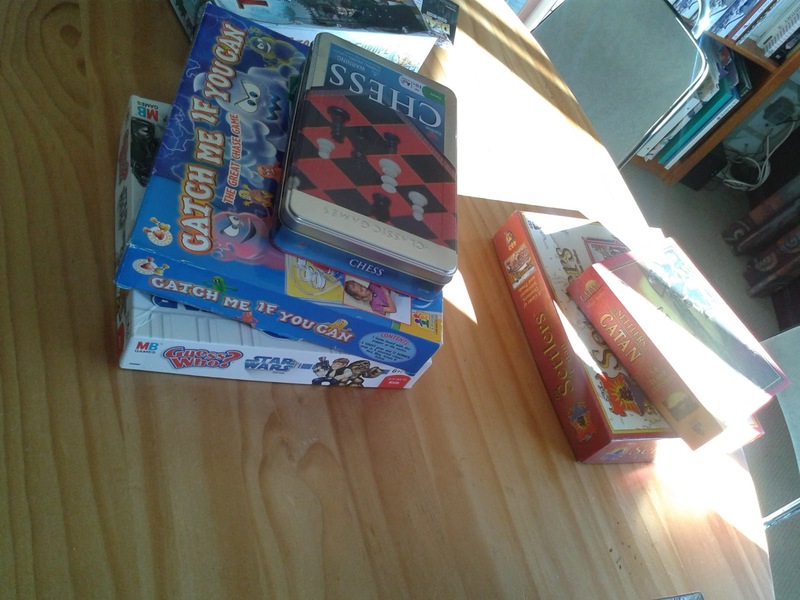 Getting a group of friends together to play a board game or two is a fantastic way to socialise. Over the years it has been one of the main ways I've kept in touch with my friends. I can't recommend this enough as a way to keep your social circle together. Well done Wil Wheaton and Geek and Sundry for promoting International TableTop Day. Long may it continue. 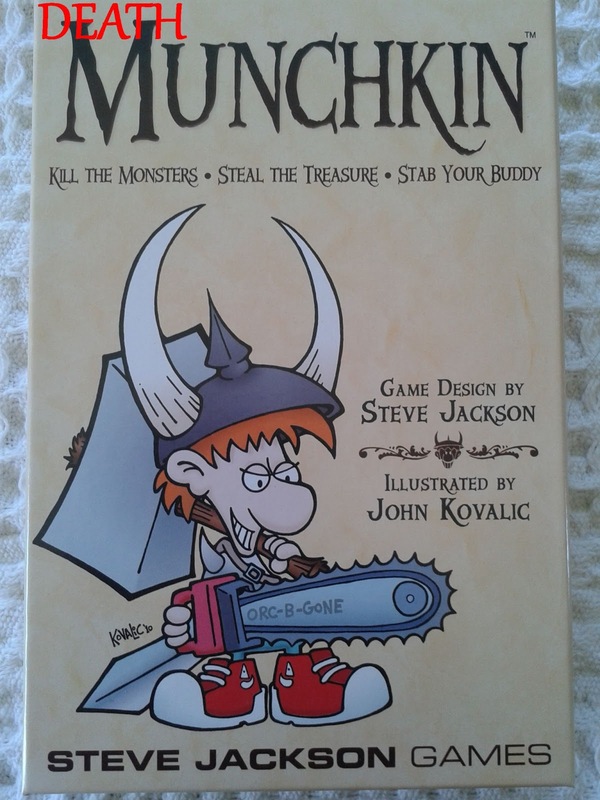 Alas, Munchkin is way too luck- and take-that-heavy for my tastes these days, and I find it tends to draw out a little too long ... if it played in 40-60 minutes I'd be more a fan, but these days an Annual Play is enough for me. 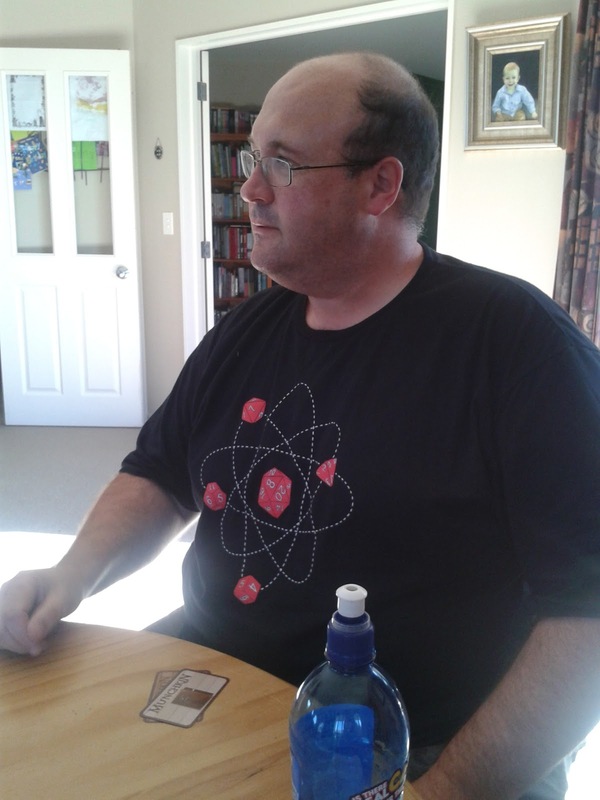 My gaming friends are still keen on it however, and as it happens I played Zombie Munchkin on the Friday. 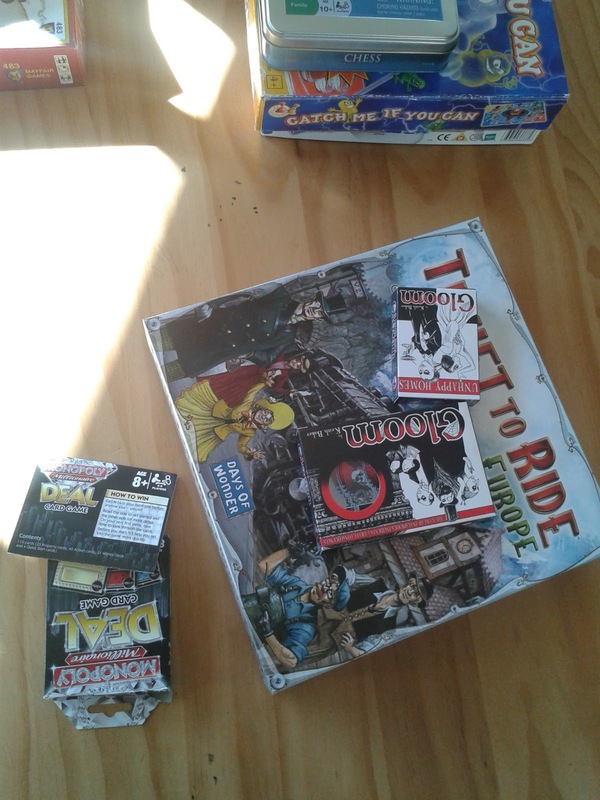 Which technically counts as International TableTop Day because we played until about 12:30 Saturday morning. Why am I writing this? I don't know. Play more games. I know what you mean, but it is a good gateway game. 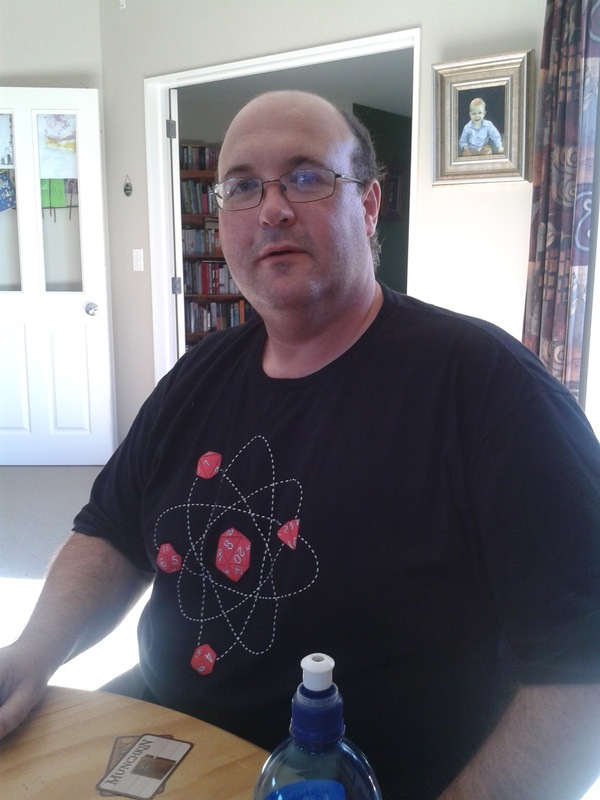 It is suitably silly and amusing to use as an introductory game for new gamers. Thanks for your comment.